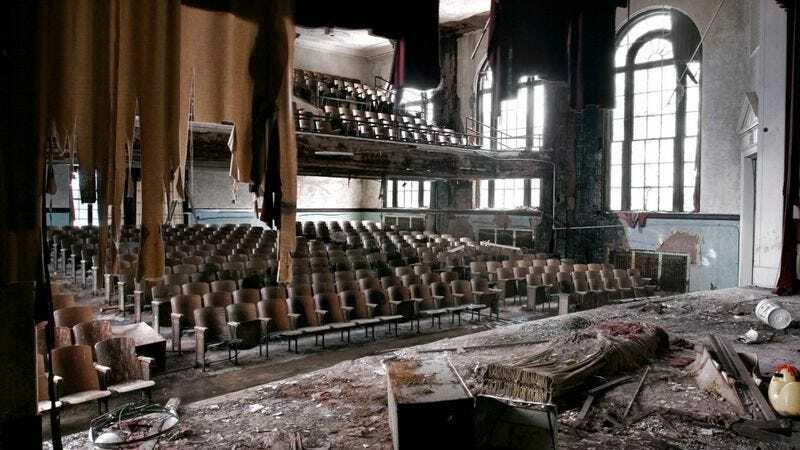 DETROIT—After spending more than a century exploiting urban decay to create deeply moving, socially conscious works of art, the art world announced Tuesday that it had captured all the beauty it was going to find in rusted-out cars, abandoned houses, and condemned industrial sites. "These modern ruins speak to the very heart of the human condition, but at this point every last inch of Detroit and Oakland has been documented in photographs, on film, or as part of a multimedia installation," said artist Devon Gerhart, who told reporters that devoting so much time to contemplating the wounded grandeur of blighted cityscapes had led him to the point where he just wanted to see the places cleaned up. "I made my career portraying the plight of the homeless, but now I'm starting to wonder whether they'd prefer it if someone just helped them find a place to live." The world's artists later confirmed plans to spend at least another 50 years churning out heavy-handed depictions of the inherent soullessness of suburban sprawl.